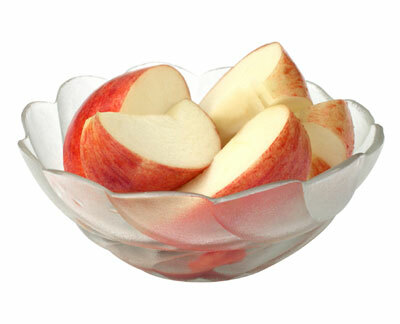 Jewel Apple Ltd. started processing apples in 1997. Its parent company, Roche Fruit, was established around 1915. Roche Fruit is a family owned company that is currently with its fourth generation owner. It is a grower based apple packaging facility. The Roche family incorporates 1,500 of its own acres along with many other growers to supply fresh apples all over the world. In 1997 Jewel Apple was formed to process high quality apple slices for products such as apple pies, fillings, hand held food products, etc... All our apples are from the Pacific Northwest which grows the highest quality apples in the world. The state of Washington grows more apples than the other 49 states combined, which gives us and our customers access to an abundant year-round supply. Jewel Apple is committed to building a long lasting relationship with our customers. This is accomplished with high quality products at a competitive price. Our state of the art facility allows us to produce a safe quality product which our customers can depend on. With the use of optical sorting, computerized refrigeration control and a committed team of employees, we accomplish that goal.